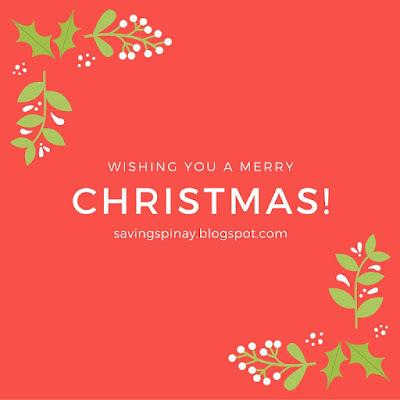 Allow me to greet you a Merry Christmas and to thank you for being such a sweet reader of SavingsPinay. 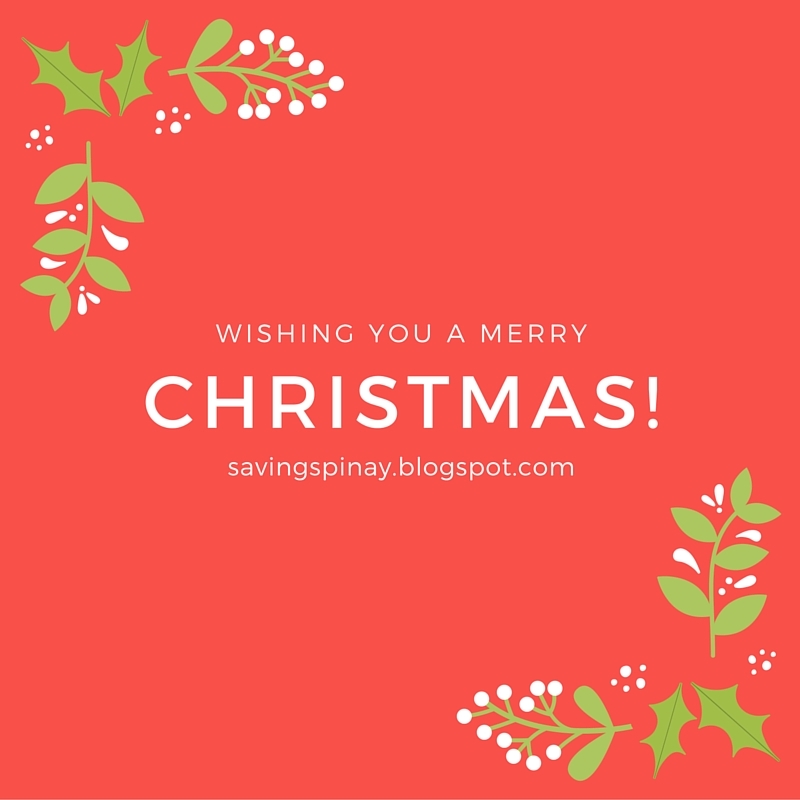 Thank you for spending time reading my each and every blog post published in this humble blog of mine. I wish that I inspired you in a way or two to take charge of your finances. With this short greeting allow me to say Thank You, Sorry and I Love You to you guys. Please continue supporting SavingsPinay specially in the last remaining days of 2015. The posts that will be up are all perfect year-ender posts you surely won’t miss. With that said and done, I again wish you a Merry Christmas. It’s been a great year after all.